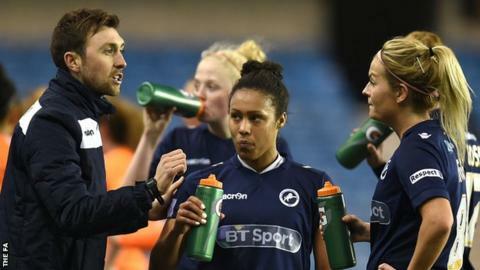 Dan Mlinar has resigned as Millwall Lionesses manager to take up a position with Millwall FC's boys academy. Mlinar took charge of the Lionesses in November last year after seven years with the club, having previously worked as reserve team boss. But they finished second-from-bottom in Women's Super League Two. "I'll still be around to support and hopefully remain a part of the coaching set-up to help build on the foundations that we laid last season," he said. "It was a tough end after a real positive start, but we have really started to implement the philosophy of Millwall Football Club and I am hoping the ladies and the new manager will continue with that in the future."